Super close to downtown Golden and across 6th avenue from the light rail station, which is nice. Apartments are wired for ethernet, but it's only 100mbit which is odd. Paul J., thank you for sharing your positive experience! Have a fantastic day! I love living at Outlook Golden Ridge! My neighbors are great, the facilities are great, Thirsty Thursday and the events they have are wonderful. Tracy A M., thank you so much for your high rating! We hope to see you soon! Beautiful apartments, great location! I love the open concept, and the massive kitchen/island. I have all the space I need to store and prep food. Overall, very pleased with Outlook Golden! Hi Kristin R., thank you so much for your positive comments about Outlook Golden Ridge! Thank you again for letting our team know how we did! We look forward to helping again in the future. Take care! A small quiet community feel. Great access to the mountains and town. Amenities are wonderful. The open floor-plan apartments makes the room in each seem larger than they are. Cleanest you’ll find in Golden. Appliances are builder grade, but the maintenance staff are always there to help.. really good folks. Evan S., your wonderful feedback and rating mean a lot to us. We always strive to provide top quality service to every guest, and are pleased to hear that you enjoyed your experience here at Outlook Golden Ridge! Jacqueline C., we are so pleased you enjoyed your visit to Outlook Golden Ridge and we can't wait for you to join our Outlook community as well! We look forward to creating the best living experience for you. Have a great day! Andrew W., thank you for your kind review; we are happy to pass along your comments to the team here at Outlook Golden Ridge! Thank you again for letting our team know how we did! We look forward to helping again in the future. Take care! I love this community by far the best I've lived in. I enjoy the amenities and the people so much couldn't ask for a better set up. Proud to call Outlook Golden Ridge my home. Margaret Lynn Sweeney Z., thank you so much for your high rating! Your recommendation means so much to us and we're so happy to have earned it. Thank you again for taking the time to let the world know about your positive experience. Have a great day! I like outlook golden ridge. It’s a very tight knit community and I think the events they put on (thirsty Thursday) help with that. Additionally, I think the front desk people are very welcoming and I often do work in the lobby and chat with them. Kelley M., your wonderful feedback and rating mean a lot to us. We hope to see you soon! Great location. Very dog friendly. Strong community feel. Everyone has been very welcoming and friendly. Maintenance crew is prompt and professional. Kathleen C., your satisfaction is our top priority and we are so glad to hear you're loving your home at Outlook Golden. Thank you for taking the time to leave a review. Have a great day! Such a great community! After a long search for the right place to live, I’m happy i landed here. The team here has been absolutely lovely. The amenities have given us much relaxation and my neighbors are the best. We are grateful to this olace home. Kasie A., thanks for your praise and kind comments about our team. We love that you are a part of our Outlook Golden family! Thanks again for the recommendation, and have an amazing day! We love living here. Anytime we need matinence it’s taken care of. My only complaint is the dog poop people don’t clean up and the lack of parking. Jordan Cecilia S., thank you for the high star rating! Please don't hesitate to reach out if there's anything additional we can do for you. We have only lived here a few days, but have been extremely impressed with everything so far! The connection to the light rail and in house gym are amazing! Can’t wait for the resident happy hours! Emily C., Your recommendation means so much to us and we're so happy to have earned it. We are so excited you decided to join our Outlook Golden family and look forward to seeing your around our community! Have a great day! Sabrina D., we're so glad that we were able to go above and beyond your expectations! Thank you very much for the kind words and we are so glad you're a part of the Outlook Golden family! Thank you, and have a fantastic day! Latanya W., we really appreciate your positive review! We always strive to provide top quality service to every guest, and are pleased to hear that you are enjoying your experience here at Outlook Golden Ridge! The leasing and moving in process was a breeze. The customer service is amazing and the community seems friendly and respectful. We are excited to be living here! Cara N., thank you for your kind review; we are happy to pass along your comments to the team here at Outlook Golden Ridge! If you're ever in need of more help, please let us know! Outlook Golden has been absolutely incredible. the location is phenomenal. The maintenance staff is superb, quick to respond to issues and quick to solve them. The front desk staff is always friendly and quick to help out any tenant in need. Timothy C., we strive for 100% satisfaction, and it is great to see you had such a positive experience at Outlook Golden Ridge. Feel free to reach out to us if you need anything. Have a wonderful day! Great place to live. Very spacious and plenty of amenities. The location is great for anyone working or studying in golden or west Denver. The views in some of the rooms are great . Bradford B., we're so glad that we were able to go above and beyond your expectations! We can't wait to see you again, have a great day. Great rich experience. I like the place. It’s what I like. It meets my need and what I expected. Good community helpful. I will tell all my friends about the good place. Hi Abdulkareem A., we are very happy to have provided you with such a positive experience! If you have any further questions, please give us a call. We're always happy to help! This is a convenient place to live near the light rail but the rent is too high. Management is good but has room for improvement in response to maintenance requests. Hi there, I would like to get some more details about your experience with us. Our team strives to deliver an excellent experience, and if there is a certain work order or experience you are referring to, we would love the opportunity to make it right. If you have further needs or questions, please reach out! great place to live, but i hate having to have a fob to get into the building. ive locked myself out numerous times when ive gone to take out the trash. maybe it could be replaced with a keypad/pin combination. Thank you again for taking the time to let us know how we are doing. If you have any further questions, please give us a call. We're always happy to help! . We hope you have a great day! It is a beautiful community with super friendly residents. The office staff and maintenance staff are very helpful and promptly address any concerns. Hi Carlye I., thank you for taking the time to leave a review for us at Outlook Golden Ridge. We're happy we could meet your expectations! We hope you have a great day! Just moved in two weeks ago and am really enjoying the experience and complex so far. Despite not having the most smooth interaction getting set up as a new resident, we've had great interactions with the staff and other residents since. James K., thank you for your kind review; we are happy to pass along your comments to the team here at Outlook Golden Ridge! Thank you again for letting our team know how we did! We look forward to helping again in the future. Take care! Happy with with people helping out at Golden Ridge but they need a better online system to secure rentals! We lost our first house due to an error on the systems behalf! Computer / processing issues with the system should be Outlooks problem- NOT mine!! Jessica K., we really appreciate your feedback! We are always more than happy to assist you if anything else comes up. Take care! This place is a great place to live. They take care of their residents and is always very helpful. The location is perfect as well because it is right across the street from the light rail and downtown golden is within walking distance. Beautiful place to live and the apartment is gorgeous. Convenient location as well. Would enjoy a later pool curfew and more areas for dogs. 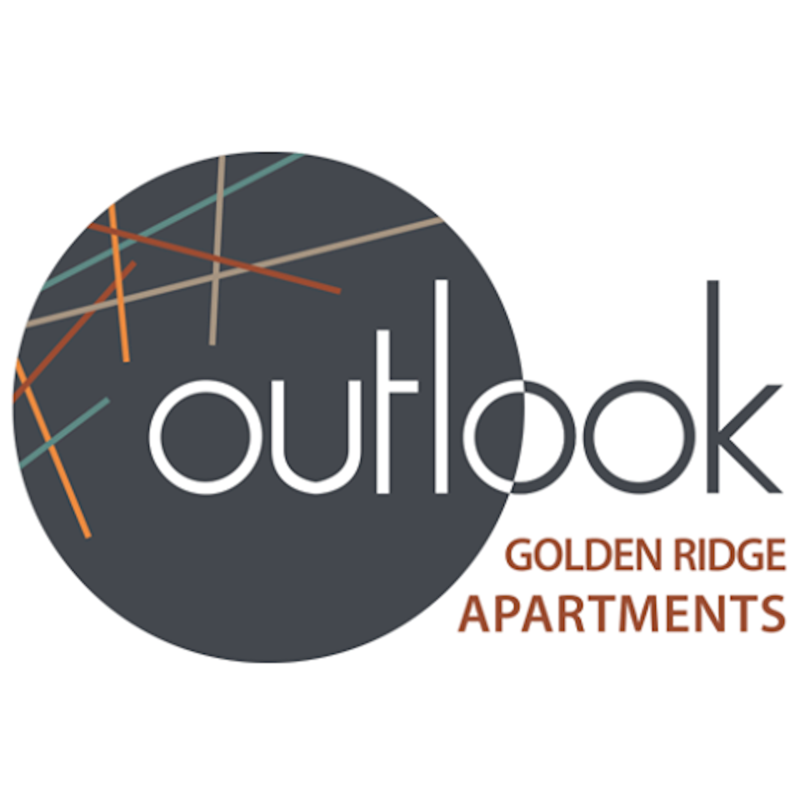 Hi Allie P., thank you so much for your positive comments about Outlook Golden Ridge!